Due to the sleeping posture, there are certain health issues that a side sleeper may suffer, if their body parts align incorrectly. The most popular issue occurs when the distance between mattress and the head is not supported at suitable height. 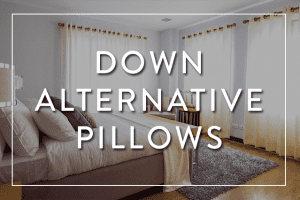 Too thin or too thick pillows will cause side sleeper’s neck to bend in an awkward position, which brings a lot of pressure to the nerve, muscles and joints. This results in a tired state when waking up, headache, back pain and leg pain are also often observed when using unsuitable pillow. The second issue of a side sleeper is heartburn, which relates mostly to left side sleepers only. As a matter of fact, the heart of left side sleeper needs to work more to pump the blood for circulation, this cause the heart to overwork, especially at resting time. The left side sleeper sometimes also has dream in which they are running, chasing,…,causing them to exhausted and suffering sleep interruption. 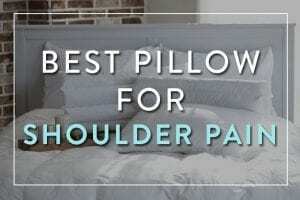 Choosing the best pillow for side sleepers in crucial, and the core principle is to choose a firmer pillow to support the distance from the ear to the outer shoulder. Additionally, the best pillow for side sleeper should retain the support during the night. There are several tips to help a side sleeper to get a resting night. The first tip is to hold a full body pillow along with your body and between your legs (like riding a bicycle). This sleeping posture will ultimately reduce the pressure between hip muscles, keep the spine and hip into a right alignment. As a result, the chance of body aches due to wrong sleeping position will be reduced. The second tips is to embrace a pillow to support the stomach. This pillow will support your belly, give the soothing feeling, and reduce the body muscle strains. Especially, if a side sleeper is pregnant, she should always support the tummy by the pillow to reduce the pressure due to tummy daily growing. In this case, she can use either a pregnant pillow for the whole body or an wedge pillow for the tummy. Unlike back sleeper or stomach sleeper, a side sleeper requires a head pillow with different profile. Due to the sleeping posture on one side, a side sleeper need a thicker, firmer pillow in general. The pillow for a side sleeper also has to be easy to fluff and re-fluff so the loft can be adjusted based on each personal preference. 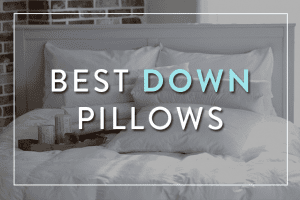 Another thing that we should consider is the supportive feature of the pillow itself. 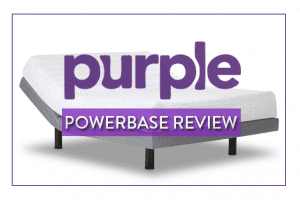 Therefore, choosing a pillow for a side sleeper requires a bit of trials at the beginning but at last you could get the most comfortable to cushion for years. There are many types of stuffing materials such as latex, memory foam, styro beads, polyester, natural materials (buckwheat hulls for instance), Down/feather, water and more. These materials bear different supportive and comfort feeling. The most suitable materials for side sleeper pillow is polyester, buckwheat, memory foam. Since a side pillow sleeps on one side, the stuffing materials must retain the loft and never go flatten. Styrobeads can be noisy, latex can be too soft and most pillow with latex has a low loft profile. Down/feather pillow is a bit quite expensive and you need to have some experiences to choose the most suitable one. If there is any pillow that you can sleep comfortably and deeply, stick with it. The comfortability is the key to a restful night. If you could, try the pillow at a local store will be a very great chance for you to figure out. If you do not have the opportunity to try it out, just bear in mind that the comfortablity of the pillow comes from two factors: the materials and the design. 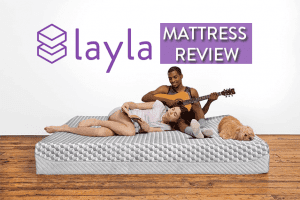 While memory foam is perhaps one of the best stuffing materials, it can build up heat during the night. On the other hands, buckwheat pillows can be a very supportive stuff, but it price is a bit higher than others. Therefore to this extent, you should balance between the cost and the comfortability of the pillow. The pillow design can be a standard Queen, King or Travel size (80% of the pillow brands have these basic size). It can also have different shape such as a cylindrical shape (Comfy Buckwheat Pillow), a U shape pillow (Side Sleeper Pro Air Pillow), a hollow design (Therapeutic Hollow Pillow) and so on. If you want to have new experience with pillow, you can try these innovative form. The pros is that these pillows are researched and designed to give therapeutic effects which aims to reduce body pain and eventually improve your sleep. The cons is that they are expensive, not easy to wash and can be suitable to a certain group of people than others. If you want the safe option, stick with the Queen and King Size of a classic design. While most of pillows for side sleepers on the market is moldable, some pillows are more moldable than others. 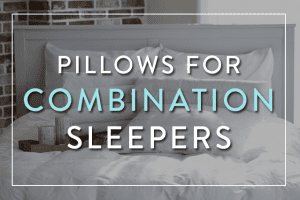 This features of the pillow will have strong impact to your sleep quality, depended upon your sleeping styles. If you tend to put the pillow under your head only, then most of the pillow for side sleeper on the market can fit with this. 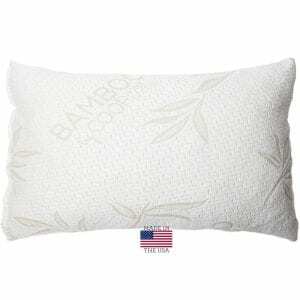 The Adjustable Shredded Memory Foam Pillow with Viscose Rayon Cover derived from Bamboo from Coop Home Goods is one of the best pillow for side sleeper and all sleeping posture. The answer to this is because this pillow is made by shredded viscose elastic memory foam which is easy for you to fluff off or re-fluff, to fit with your required height. Therefore, not only side sleepers (who require a firmer, thicker pillow) but even stomach sleepers (who need the very thin and soft pillow) all find this pillow is a perfect choice. Unlike pillow made by Down/feather or memory foam along, this shredded memory foam pillow never go flat or get clumped as a Down/feather pillow, or constantly build heat during night like those from pure memory foam. The stuffing material makes the pillow to stay cool overnight and to keep it shape over years. Made in USA. This is the rare pillow that is locally manufactured. While most of pillow brands are outsourced overseas, the Coop Home Goods produce the pillow locally. The material is dust-mite resistant and free of organic solvents, certified by CertiPur- US. The flexibility of a pillow is the ability to adjust the loft so it can be suitable for each person and each sleeping style. There are certain types of pillow has such ability, such as shredded memory foam with bamboo pillow, buckwheat pillow, waterbase pillow. These pillow can be used for back sleepers, stomach sleepers and side sleepers with different ages. Obviously you don’t want to empty the pillow case, wash it and then stuffing it over and over. A machine washable pillow will save your time and cleaning effort. Sometimes, the supplier will have a custom pillow case and/ or a pack of extra stuffing materials (in case of buckwheat). Sometimes, you need to buy them separately. Certain brands offer 30 day refund without asking and a guarantee of limited years (1-5 years). The longer warranty time, the more durable the pillow is. Therefore, in case you need to consider between a pricey pillow with 5 years warranty and the cheap one with no warranty, the first will be a wiser choice. In certain conditions, you might need only to consider the above factor, but other factors will take the game. You must choose the materials with low level of allergies (which is noted as hypoallergenic in the pillow profile). A pregnant women require a different set of pillow that can give either body part support or total body support to avoid pressure from the tummy to cause body pain. You can refer here to get into detail.